Irish Tech Leader ActionPoint to Launch New Smart-Manufacturing Solution at IoT World Congress in Partnership with Microsoft, Dell and Intel. 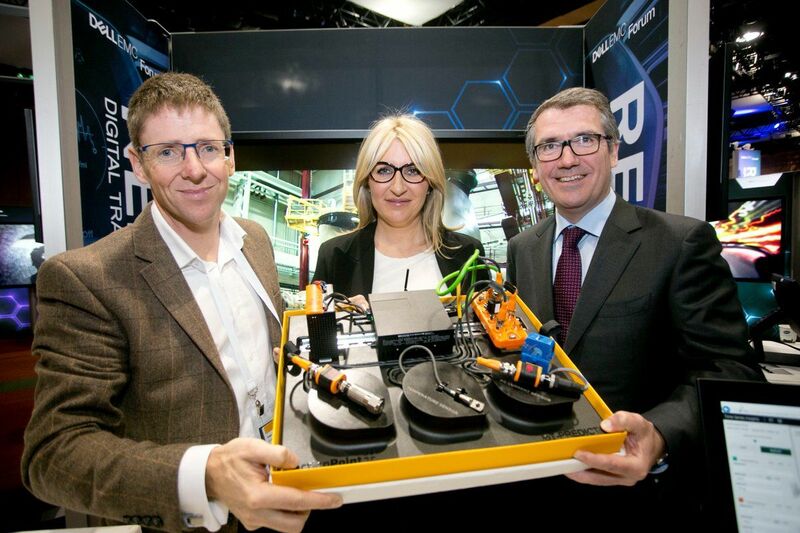 Irish tech firm ActionPoint has partnered with Microsoft, Dell and Intel to develop an out-of-the-box solution for manufacturers eager to harness the business opportunities presented by the Industrial Internet of Things. ActionPoint served as the “glue” between the 3 partners during the design and development process. A unique collaboration, IoT-PREDICT’s smart-manufacturing software was developed by ActionPoint with Dell providing the Industrial Edge Gateway technology and Microsoft the Microsoft Azure cloud platform-based data visualisation, analytics and alerting tools. Irish firm ActionPoint has collaborated with global tech giants Microsoft, Dell and Intel to develop IoT-PREDICT, a new Industrial Internet of Things solution aimed at the manufacturing sector and which is to launch at the IoT World Solutions Congress in Barcelona this week which takes place from the 3rd – 5th of October. IoT-PREDICT securely gathers extensive real-time data from the production floor to help manufacturers reduce down time, improve overall equipment effectiveness and deliver cost savings. The IoT-PREDICT end to end system includes industrial grade vibration, temperature and current sensors connected to a Dell Edge Gateway 3000, pre-configured to process, store and forward sensor data securely to Microsoft’s Azure IoT platform and Windows 10 IoT OS, where the data is available to engineering and plant management to help them run operations more efficiently. Design and usability were a major focus for the ActionPoint team during product development. They enlisted the help of multi-award-winning Dolmen Design to design a compact, pre-assembled and pre-configured system for quick and easy installation and commissioning in any industrial environment. For comment and/or Interviews, email Ivan O’Connor iconnor@actionpoint.ie or Peter Hunt phunt@actionpoint.ie. ActionPoint is an award-winning technology company headquartered in Limerick, Ireland. Founded in 2005 by David Jeffreys and John Savage, the company employs over 80 people and has offices across Ireland, the UK and the US. It joined the Deloitte Technology Fast 50 in 2014, 2015 and 2016, and won Deloitte Best Managed Company in 2017. It won Microsoft’s best SMB Award in 2017. ActionPoint is a Dell EMC Global IoT Solutions Partner and a winner of Dell EMC Country Partner of the Year in 2014 and 2016. Clients include Johnson and Johnson, Analog Devices, Alps Electric (Ireland) and Chill Insurance. ActionPoint also recently delivered the high profile and eagerly anticipated online renewal system for the Irish Passport Office on behalf of the Department of Foreign Affairs and Trade of Ireland.